My how time flies. In fact, it flies just a little bit faster than I can run…but not much. 2 easy miles. This was a continuation of the previous week which was a rest week. I ran 2.02 miles in my Vibram FiveFingers shoes. This was not my first run in them. I snuck in a .88 mile run on Saturday just to test them out. No problems with this run. I kept it slow at just over 11 minutes per mile. Tempo run, 6 miles. That included a 1 mile warm up and cool down. So only 4 miles at a tempo of 9:31. I did not do so well on this one. I decided to do 3 laps of a 2 mile route that I have. I am not good at loops. When I get close to home I just want to stop. I did 2.65 of the 4 miles at 9:06 pace. Too fast, but it worked. I took Saturday off this week since I went on a 3 day hike. We were going to cover as many as 45 miles in the three days. We were very surprised to only accomplish just under 20. We really only hiked 2 days since on the second day we walked in rain all day and ended up with blisters. I did a spin class on Tuesday and Thursday. 1 hour each class. I also ran a short time (about a mile maybe) on each of these days after class. I ran on the treadmill and worked on some running form exercises. I had been watching videos to help me learn a better stride and landing method. I think this is the key to taking care of some knee inflammation I have. It has really helped to clean up my running style. It puts more work on my muscles and less on my bones and joints. After the hike I was not running. I wanted to get out and do the prescribed 2 mile run on Monday, but my legs and blistered feet would have none of that. 7 mile interval run. That included a 1 mile warm up and 1 mile cool down. The tempo pace was a bit faster this time, 8:54. 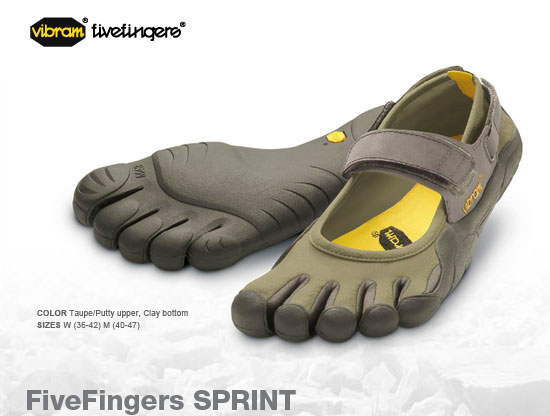 I took my Vibram FiveFingers to the treadmill and worked on my form in the process. These were 1 mile intervals with a half mile recovery. I did the 3 interval miles, but did not spend as much time on warm up and cool down as I should have. I only did a total of 5.5 miles. At the end of the run I knew I had overdone the workout with the new shoes. These are minimalist shoes and are essentially running barefoot with no cushioning. I curled my toes under (which I apparently do in my shoes too) and ended up with blood blisters on 2 toes of my right foot. This went with the blisters I had on another toe and the ball of my foot from the weekend’s hike. Rough week for feet. 14 mile long run. I mapped out a 13.3 mile route last night. This morning I could not find my CamelBak. I had it just last week. The gnomes hauled it off. I had to do this run without the aid of constant hydration and being able to carry all the nutrition I needed. I stopped at a convenience store about 5 miles into the run and bought me a 32 oz. electrolyte drink that I carried the rest of the run. I made a wrong turn in my route and ended back at home with only covering 11.5 miles. That was fine. It will just make the 16 mile run next week seem a little more daunting, but knowing that going into this week may help me prepare for it. I did spinning class again on 2 days this week. I also spent some time on a real bike. I know I need to work on some upper body exercises and did a little, but probably not enough to matter. Monday 2 miles easy. Wednesday 6 mile tempo. Saturday 16 miles long run. I will be traveling this week which will make the Wednesday run a bit more complicated, but I should be able to do the Monday and Saturday run without a problem.